Purposely written with the priorities of you the program managerand systems engineer in mind. This book masterfully captures thebasic principles of T&E, specifically applying them to avariety of industries. Test and Evaluation of Complex Systems formspart of the Wiley Series in Measurement Science and Technology.Chief Editor: Peter Sydenham Australian Centre for Test andEvaluation, University of South Australia. This series was foundedto coincide with the recognition of measurement science andinstrument technology as fields with their own scholarship andtechniques. 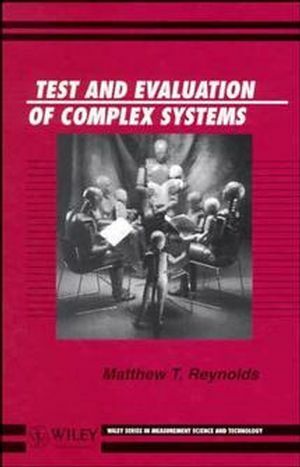 Matthew T. Reynolds is the author of Test and Evaluation of Complex Systems, published by Wiley. The New Age of Testing. Types of Test & Evaluation. Evolution of Recent T&E Practices. Summary: The Future of T&E.